On a warm Samoan evening, musical sounds of “Jingle Bells” and “I’m Dreaming of a White Christmas” delighted hundreds assembled on the front lawn of the government building in downtown Apia Friday night. 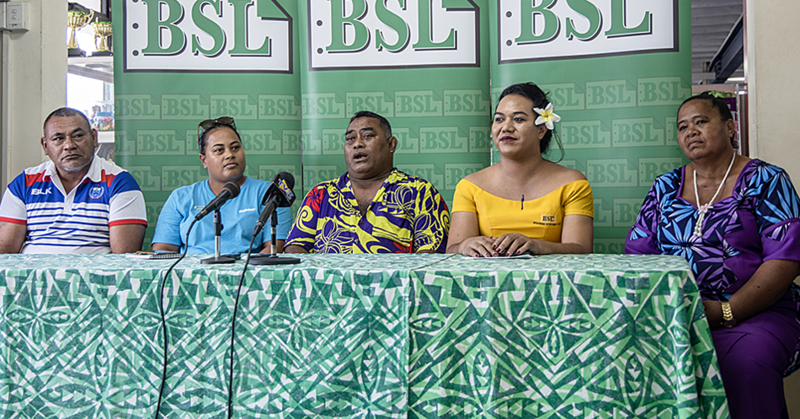 The occasion was to launch “My Island Christmas,” a festival that will run until 24 December, organised and sponsored by TV3 Apia Broadcasting Limited and The Church of Jesus Christ of Latter-day Saints. 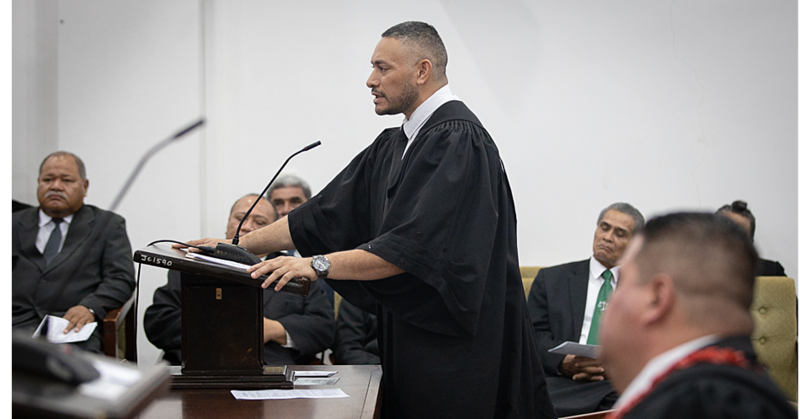 Prime Minister, Tuilaepa Dr. Sailele Malielegaoi, was welcomed and thanked by Elder O. Vincent Haleck, Pacific Area President of The Church of Jesus Christ of Latter-day Saints. Other special guests at the opening ceremony were media and many government, interfaith, and business leaders. With a live nativity scene at the left of the stage, the opening ceremony centred on the light of the world, the Saviour, Jesus Christ—a celebration of His birth. M.P. 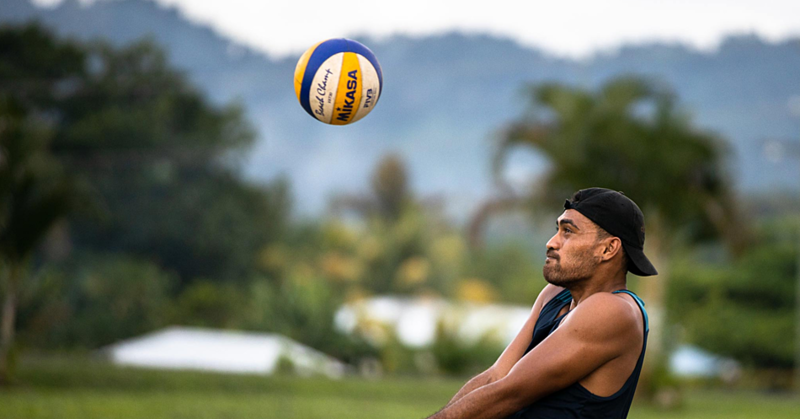 Fuimaono Samuelu Te’o Atiifale spoke about previous Christmas celebrations in Samoa. This is the second year that Christmas lights and activities have been enjoyed around the grounds of the government building. He said, “Last year my family sang here and it added to our feelings of joy at Christmas time.” Elder Haleck thanked the organizing committee and sponsors of the event for all the work they did to give this gift to the community. “The lights we are going to turn on can never compare to the light of Christ, whose birth and life we celebrate,” he said. He then pressed the switch that turned on thousands of twinkling lights covering the stage and the trees of the centre to the delight of the audience. 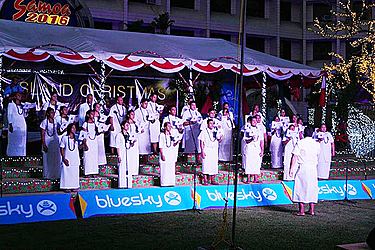 The evening concluded with a variety of performers, beginning with the Methodist Church Matafele choir singing carols, dancers performing traditional-with-a-twist Samoan dances, ending with Stake President Jason Joseph (also a popular entertainer formerly known as King J) singing “I’ll Be Home for Christmas.” The festival will continue with nightly performances by a variety of entertainers and choirs. Joseph encouraged all present to spend this wonderful time of year with their families, remembering the love of the Saviour, Jesus Christ.